VMware vSAN (or Virtual SAN) is a technology that allows you to create shared storage from the local disks on a number of ESXi hosts. vSAN is very versatile. You can have as few as two hosts (in a Remote Office/Branch Office deployment),or as as many as 64 . A more typical stand-alone deployment utilizes the disks in 3 to 8 hosts to create the shared datastore. The disks on each host will be logically separated into disk groups. These groups will consist of at least 1 SSD, and 1 or more additional disks, consisting of SSD or rotational drives. The SSD provides caching, while the additional disks provide capacity. vSAN provides many options that allow you to build storage that fits nearly any use case. You can design storage that is cost effective for large capacities, or storage that has very high I/O characteristics. The best place to start is the vSAN Design guide located on the StorageHub. This will help you understand the best way to design a vSAN cluster to meet the business requirements and use case(s) you have. vSAN Operations Guide – Everything you need to know about running vSAN in your environment. From setting up your first vSAN cluster to creating storage policies, monitoring performance and more. 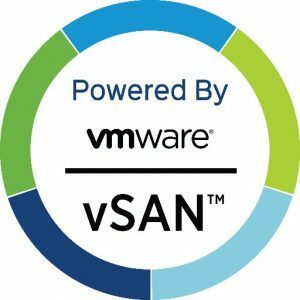 Everything you need to know about vSAN (as well as other storage products – is available on the Storagehub. New VMware KB articles – The latest articles in the VMware Knowledge Base. Add this link to your RSS Feed reader!